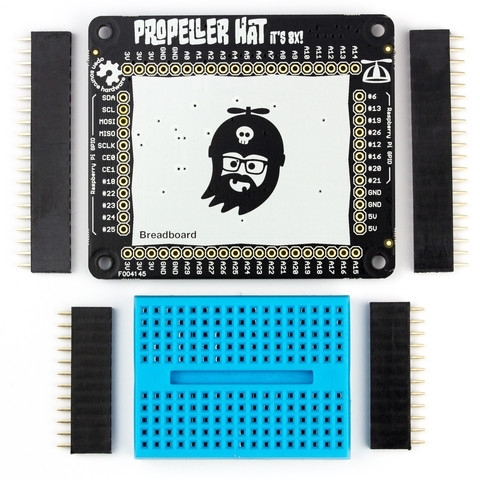 We’ve brought the much adored Parallax Propeller microcontroller to the Raspberry Pi in an experimentation-friendly HAT format that includes a mini breadboard for prototyping and breaks out a whole array of signals from both Pi and Propeller. Fully open-source hardware, right down to the microcontroller! Supplied as a kit - Male or female headers, it's a tough choice and there's a good case for both. We've bundled Propeller HAT with a 170pt breadboard and female headers, but left them un-soldered and un-stuck so you can choose what fits you best. That does mean, however, that soldering is required! 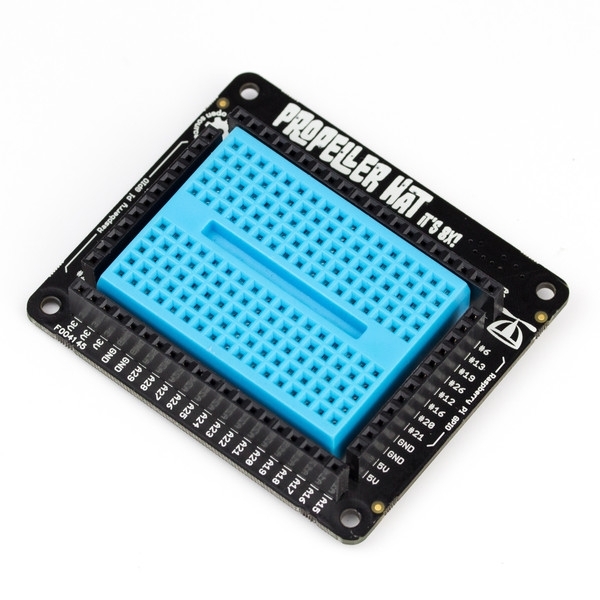 Built around the Parallax Propeller - Propeller HAT hosts the powerful 8-core Propeller microcontroller from Parallax. It connects it to your Pi’s serial port for programming, and breaking out its 30 remaining pins for general IO use. 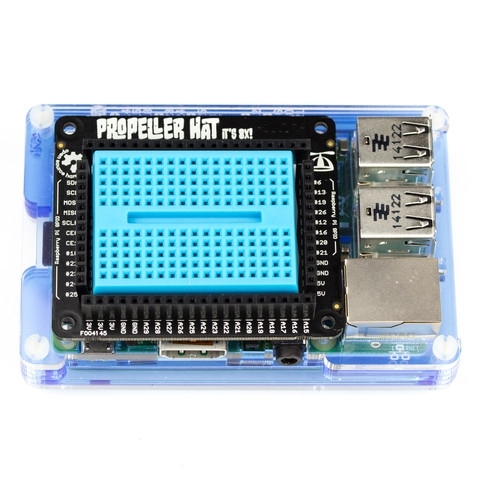 Fully programmable on the Pi - All the tools you need to program Propeller HAT will run on the Raspberry Pi. From Propeller IDE, the software you need to write SPIN code, to OpenSpin, the compiler, and p1load, the loader. Python IO library - We’ve created a collection of Python IO library examples. Just import them into Python and instantly transform your Propeller HAT into a 30-pin IO expander or PWM driver. Learn microcontroller and multi-core programming - using SPIN, the native language of the Propeller, you can learn how to make a microcontroller do your bidding. We've written step-by-step tutorials to get you acquainted with the basics.